Yoga information and education, and sustainable living endeavors. The Light Of Truth Universal Shrine (LOTUS) is a unique temple dedicated to interfaith understanding and the Light within all faiths. Individual altars represent and honor the different world faiths and spiritual paths. The doors of LOTUS are open to welcome people of all backgrounds and beliefs. Some of Swami Satchidananda’s senior students have made a formal commitment to a life of selfless service to humanity. Some have chosen the path of sannyas or monasticism. They have the title of “Swami” and are similar to monastics of other traditions. Other students, while moved to dedicate themselves formally, did not feel that the monastic path was best suited for them. These ministers, given the title “Reverend,” may marry and have families if they wish. The ministers and sannyasis of Integral Yoga serve the public in many ways such as performing ceremonies like weddings, blessings for newborns, and memorial services. The Integral Yoga Ministry is an interfaith ministry. Service in Satchidananda is a non-profit international network of charities established in honor of Sri Swami Satchidananda and based on his core teaching of selfless service. Service in Satchidananda funds global projects that are working in a sustainable way and giving back to their local communities. Projects include the Satchidananda Prison Project, medical camps (free surgeries in India), education scholarships, disaster relief, free Yoga to underserved populations, providing essential living items to communities in need, and more. To support people in the transition to a vegetarian diet, Swami Satchidananda founded New York City’s first 100% vegetarian health food store in 1972, which embodied the principles of Yoga in all of its operations. Today it remains the only 100% vegetarian health food store in New York. 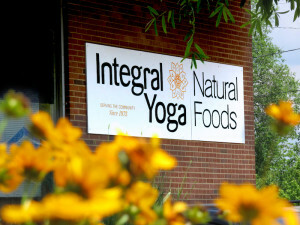 In 1980, Integral Yoga Natural Foods opened in Virginia and it is the oldest standing original organic food and supplement store in Charlottesville. 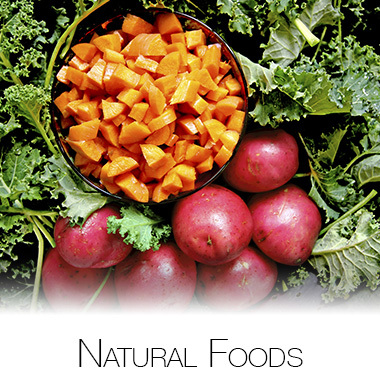 Integral Yoga Natural Foods continues to provide the purest products possible in order to support the spiritual and physical well-being of health-conscious customers and our planet. Satchidananda Farm delivers a steady stream of freshly picked organic veggies to the Satchidananda Ashram kitchen. This six-acre, fenced farm contains one well-equipped greenhouse and two hoop houses for growing crops in early spring and winter. Water from a spring-fed pond located along the banks of the James River irrigates these fields. The farm is a joyful spiritually uplifting environment where the farmers serve the plants grown through awareness and prayer. Integral Yoga, a founding member of the Yoga Alliance® and a YA Registered Yoga School, has certified thousands of teachers in Hatha Yoga, Meditation, Raja Yoga, and in specialized and therapeutic applications of Yoga. The Integral Yoga Teachers Association (IYTA) and the Integral Yoga Academy offer a variety of educational and support services to teachers, therapists, and healthcare professionals. A membership organization, the Integral Yoga Teachers Association facilitates continuing education and provides professional development guidance. Among the many ways it supports the Integral Yoga teaching community are forums, websites, and publication of Integral Yoga Magazine. In addition to offering Integral Yoga services to teachers around the world, Integral Yoga’s global headquarters (Yogaville, Virginia) is the site of the Integral Yoga Academy, which includes the School of Yoga Teacher Training, School of Therapeutic Yoga, Continuing Education Programs, and customized trainings. The Integral Yoga School was established in 1977 by Swami Satchidananda at Satchidananda Ashram–Yogaville in Pomfret Center, Connecticut. It was the first state-accredited elementary school to include a Yoga curriculum. The school relies upon the precepts of Integral Yoga: truth, non-violence, spirit of dedication, service, and universal love. The curriculum provides elementary-school level educational studies based on spiritual teachings, ethical training, and academic excellence. In 1980, the school moved to Yogaville Virginia and was renamed the Yogaville Vidyalayam (Temple of Learning). Satchidananda Jothi Niketan International School (SJN) is a fully residential, CBSE co-ed school located at Kallar (near Coimbatore), in South India. The academically rigorous curriculum is based on the principles of Integral Yoga and encourages students to excel in scholastics, sportsmanship, and principles of universal brother- and sisterhood. Inaugurated in 1984, the Fine Arts Society (FAS) aims, through its classes and programs, to encourage the fine arts of music, dance, and drama among people of all nations with respect for the various traditions and cultures of the world. Its further mission is to affirm the unity of art and spirituality and to promote peace, good will, and harmony through the arts. Swami Satchidananda’s talks have been transcribed and compiled into books and his classes and talks are also available on audio and video. His books have been translated into many languages including: Chinese, Farsi, Finnish, French, German, Hindi, Italian, Japanese, Portuguese, Russian, Spanish, and Tamil. 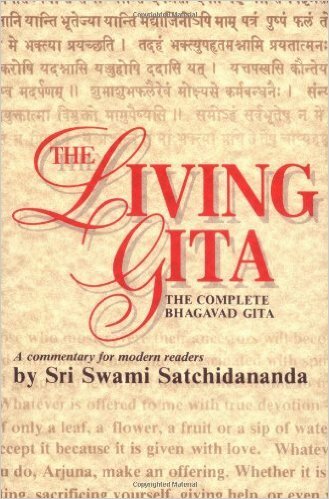 Most titles are available from Shakticom, Integral Yoga Distribution, and Amazon.com. Shakticom has been producing audio, video, and film programming since the early 1970s. In addition to recording the talks of Swami Satchidananda and producing tape/video of the month programs, it is the studio responsible for producing the Sacred Mantra Series, Yoga with a Master, Integral Yoga Kirtan, and documentary films including Living Yoga: the Life and Teachings of Swami Satchidananda. Integral Yoga Distribution, the wholesale division of Integral Yoga, has been the primary source of books and spiritual products for thousands of natural food stores, boutiques, Yoga studios and teachers for over 30 years. America’s first Yoga magazine, Integral Yoga Magazine was founded by Swami Satchidananda in 1969. It is a quarterly journal that includes Yoga-related philosophy, practice, health, news, and much more. A great resource for Yoga students, teachers, and therapists. Integral Yoga’s YouTube channel features talks and programs by Swami Satchidananda and Integral Yoga master teachers. Yogaville livestream has been online since 2011 broadcasting Yoga and spiritual life programming right from Sivananda Hall at Satchidananda Ashram–Yogaville. The service now has over 200 events recorded and over 1300 subscribers. A vast repository of well over half a million items dating from the 1940s to present that includes books, transcripts, handwritten and typed documents, newspaper/magazine articles, audio- and videotapes, photos, films, artwork, and other items relating to Swami Satchidananda and the Integral Yoga tradition. The Archives is committed to preserving, digitizing, and restoring its assets. Partnering with DigitalRelab and its premier Starchive database system, Integral Yoga Archives is in the process of a multiyear project to create a comprehensive database of Integral Yoga archival assets and a virtual museum online to showcase the Integral Yoga tradition. In collaboration with the Albert and Shirley Small Special Collections Library at the University of Virginia, Integral Yoga Archives is gifting its physical items once those are digitized, to create a special collection of Swami Satchidananda’s archives that will be made available for use by the University, its online catalog, and its researchers. Integral Yoga Archives has embarked on an oral and written history project that will include a comprehensive compilation of the audio, video, and written history of Swami Satchidananda, Yogaville, and the Integral Yoga organization as recounted by its members.